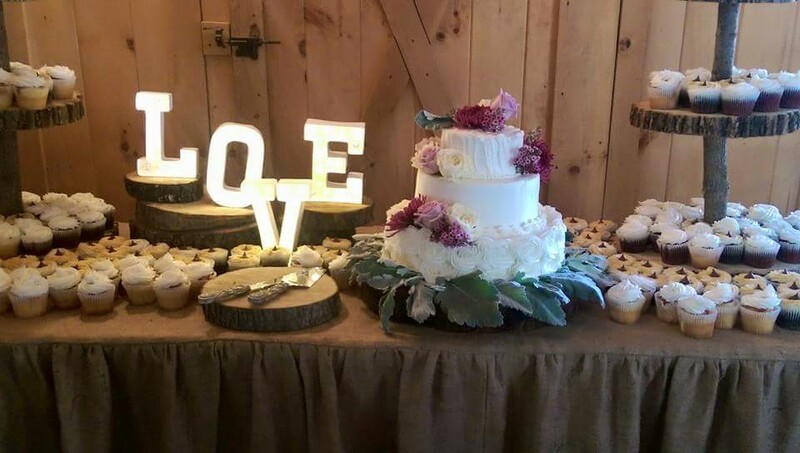 At your event, The Dessert Bar can include a wedding cake and multiple desserts arranged in different levels to add a special touch to your wedding reception. At Natalie's, we work with your theme and colors to make the event one to be remembered. Custom desserts and cakes can be created upon request. 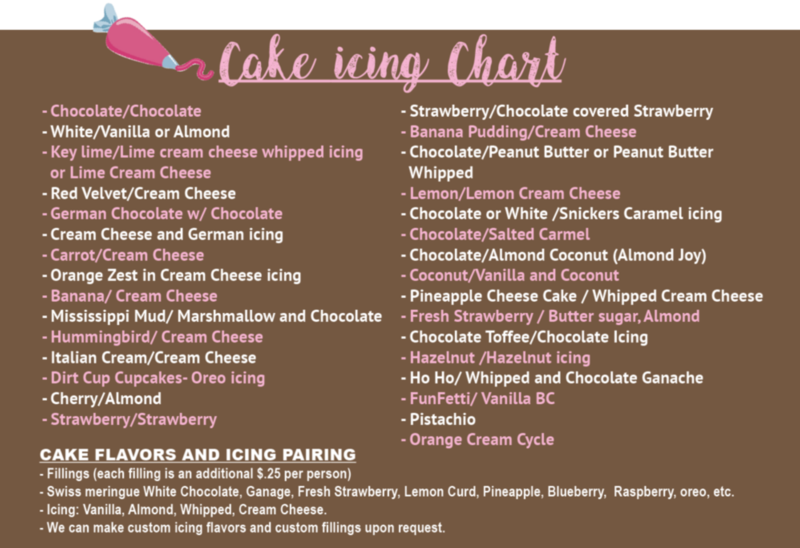 - Flavors: Plain, Chocolate, Oreo, Red Velvet, Pumpkin, Snickers, etc. *Deposit for serving glassware required.